This totally independent site is devoted to the Kawasaki Versys 650 that originally made its debut back in November 2006 as one of the new models in Kawasaki 2007 line up - a 650 cc parallel twin that evolved from the ER-6. The name is a shortened version of "versatile system" - an attribute that sums up this brilliant bike. 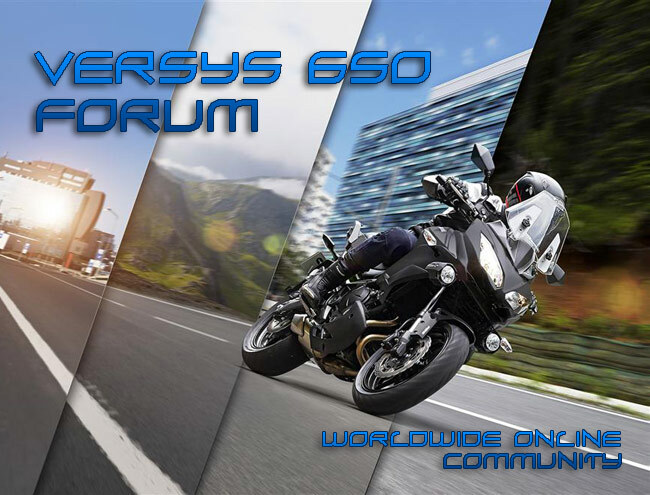 The site is the leading resource where owners can discuss issues with others in the 'Forum', take a look at owners bikes in the 'Photos Gallery' and generally find out more about the "Versys". We also have technical information, articles, and a wealth of experience from owners worldwide, making this the number one motocycle club for the Versys. If you are thinking about buying this brilliant new bike from Kawasaki then this will be the site for you ! Although based in the UK we welcome members from Europe, the US, and beyond - a truly international community site.